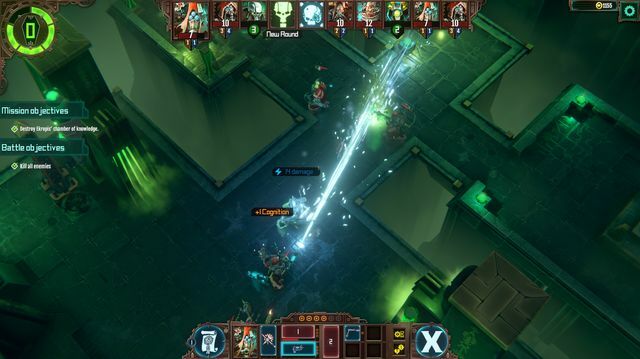 Warhammer 40,000: Mechanicus, by Bulwark Studios and Kasedo Games is yet another outing for the 40k franchise. Is this one good enough to stand out from the slew of Warhammer spin-offs that we get every year? In this man’s opinion yes it is! Remember that this is alpha code so lots of things are subject to change. 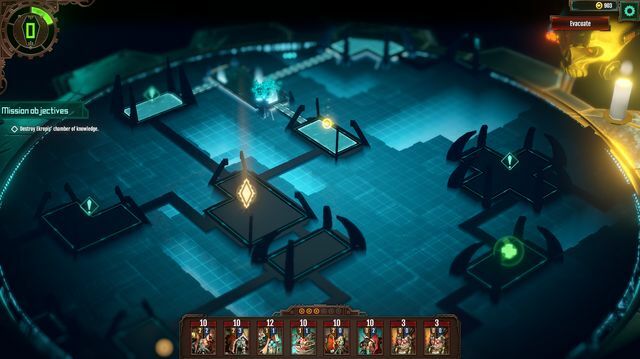 When first playing the game it is immediately influenced by the XCOM series, in that it is a turn-based strategic squad shooter, so if you liked those games this could be right up your alley. You control a team of tech priests and their minions and the overarching story pits you against the Necrons with the aim of trying to destroy them before they awaken enough troops. As the game progresses your priests gain experience points which can be spent on upgrading them across several specialisations. You will also unlock new weapons / gear upgrades as you complete each level. Selecting your team gives you a massive amount of freedom in terms of who to take. For each mission you have a certain amount of points you can spend on your squad with tech priests and their support teams costing different amounts. You could just take one priest and an army of cannon fodder to overwhelm the enemy or you could try a full squad of priests or something in between. The story is conveyed via 2D conversations between the various characters. Whilst there is a fair chunk of text to get through between missions they do a good enough job of moving the story along and exposing the differing views of the members of AM. The missions take place across a digitised map split into various rooms. At this stage you move your entire squad as a whole room to room. 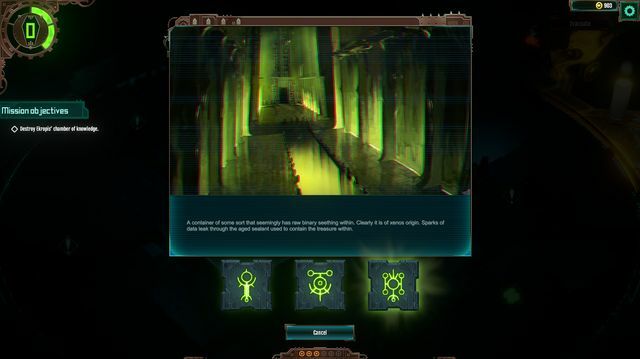 Each room has a chance of containing nothing, an alien artefact or enemy troops. You have no idea what is in each room until you enter it (although some rooms do have icons that make it clear where you need to get to) If it’s an artefact you are given choices regarding what to do with it e.g. destroy / recover. What I found a bit annoying was that if the room contained troops you have no idea what you are up against until you enter, fair enough I guess as this is a reflection on reality. It wasn’t going in blind that annoyed me as much as what you end up facing can vary between a few average enemy troops to an absolute war machine that can kill your guys with one hit. The combat itself is broken down into turns but it’s not as simple as your teams turn and then the enemy. I can’t quite figure out how the game works out the order of whose turn is when but the order is clearly shown across the top of the screen. It might run one of yours, two of theirs, one of yours and so on or could be completely different. It is also possible that I have missed something obvious that would explain this system!! As you would expect each troop type has different abilities and movement ranges opening a vast opportunity for the tactical buffs out there. Some abilities are free but many others require spending cognition points. These points will spawn and continue to spawn at certain points on the map and you need a tech priest within range to harvest them. You can also get cognition via certain abilities and troop types actions. It won’t surprise you to hear that skills that use cognition are generally more powerful than those that don’t. You can also spend cognition on moving your troops further than their normal range which I found vital to do to complete the last part of the tutorial. Battles were heavily influenced by the management of cognition and at times I did feel this system being a bit restrictive given that I had to leave a tech priest next to a cognition spawn point a lot of the time limiting their usefulness in battle. This could, however, be down to my lack of experience with the game. As new skills are unlocked or I simply ‘git gud’ I’m sure this would be less of an issue. The battle maps at this stage are a bit boring and lacking in interest. There is no cover system to speak of and I found it tricky to know if I was in the line of sight of an enemy or not – despite being able to pan the camera through 360 degrees. Troop animations and sounds are pretty good and I found that any piece of audio whether it be talking or music really sets the tone of the game amazingly. The intro scene was amazing mainly down to the audio!! 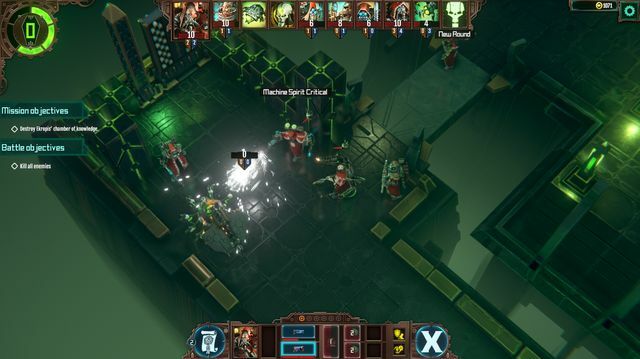 I’ve put a good few hours into Warhammer 40,000: Mechanicus so far and still only feel that I’m barely scratching the surface of what is on offer. Given that the code I played was still alpha stage I am genuinely excited to see how the game improves by its launch date of November 15th. 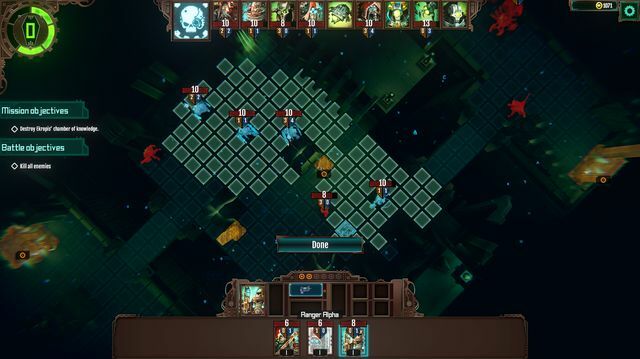 If you’re into XCOM style games or want to play something a bit different from the 40k universe then I would say this is well worth checking out. 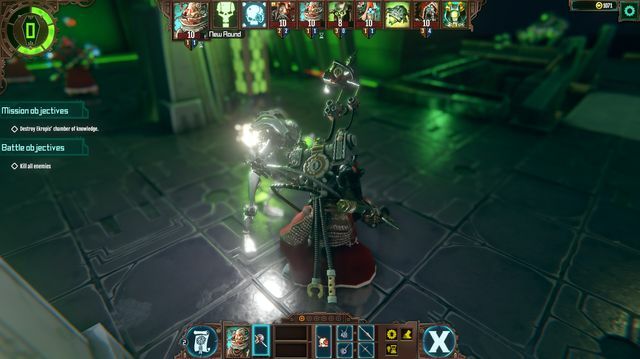 Warhammer 40,000: Mechanicus is coming to PC via Steam on November 15th. EF Games will have a full review around release. Check out the official website for more information on the game.